I was very excited about the release of OS X El Capitan earlier this week. The OS upgrade is highly recommended as it vastly improves the performance of Macs (that are capable of running Yosemite). However, my experience with the upgrade process was not a pleasant one. It was only a few hours back that I was successfully able to upgrade my Mac. That was after the MAS download got interrupted 6 times in a row, and I had wasted more than 15 GB of data on a single download of 6.08 GB. UPDATE: macOS Sierra has been released. Check out how to get macOS Sierra from outside the Mac App Store. The initial experience with OS X upgrades is almost the same every year. During the first few days of public release, the Apple server gets hit with a huge number of download requests. As a result, you might experience slow download speeds, and sometimes it might even get interrupted during the download. In such cases, you might have to restart it all over again. #Update: OS X El Capitan is no longer the latest version of OS X / macOS available on the App Store. If you want to upgrade to the latest version, you can follow our dedicated article on how to upgrade from OS X to macOS Sierra via direct download. If you are on an earlier version of OS X, you can download and install El Capitan from directly the App Store. Alternatively, if you currently on a later version of macOS and want to downgrade to El Capitan for some reason, you can officially do so only if you have purchased it earlier. In that case, head over to your purchases section (MAS >> Purchased tab), and download it from there. If it is not available in your Purchased list, we recommend you to get it from any of your friends or colleagues. And if you want to download El Capitan directly from package file, you can follow the below method to achieve the same using the updated package (.pkg and .pfpkg) URLs below. We have also updated the steps in the article accordingly. Next, you need to replicate the path of the source packages on your computer in the same way as it is represented in the original URLs. Only then, will MAS be able to download them from localhost server. To do this, you need to create the same directory structure on your computer as the structure of the download URLs, within a particular folder, and then assign that folder as the root of the localhost server. In this example, we will create a folder named “osxapps_local” on Desktop, and replicate the directory structure of the package URLs under it. 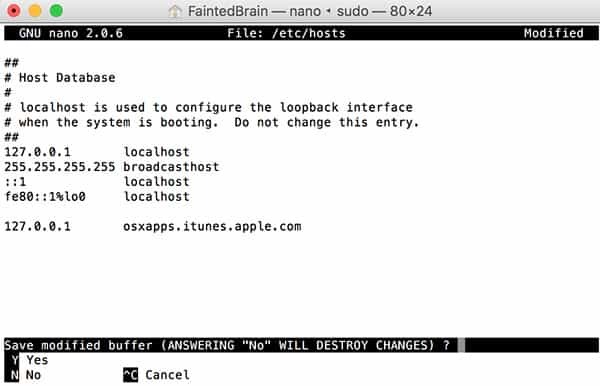 Follow the steps below to create the directory structure and then host “osxapps_local” as the root directory on localhost. Provide the admin password when requested. #6 Place the downloaded package files in their respective relative locations (as per their URLs) within the osxapps_local folder on the Desktop. Click on Authenticate when prompted, and provide the system admin password. To check the status of the local server setup, enter the URL of the original .pkg file in your browser and check the download speed. It should be very high as it is downloading from the localhost server. Now, launch the Mac App Store, go to the El Capitan page or Purchased tab and download OS X El Capitan from there. MAS will now download it from the local server at a high speed. Once downloaded, you may proceed with the installation by clicking on Continue when the setup launches. You might be wondering if this workaround to install OS X El Capitan is genuine enough. And to answer the question, it’s as genuine as the official one. Here, you’re downloading the same raw package that Mac App Store requests when it downloads OS X El Capitan. And you’re using MAS to convert the raw package into the executable app file. The only thing that changes here is the location of the raw file that Mac App Store downloads from (localhost instead of Apple server). Now that you have the El Capitan “.app” file, you can use it to update OS X on multiple Macs. 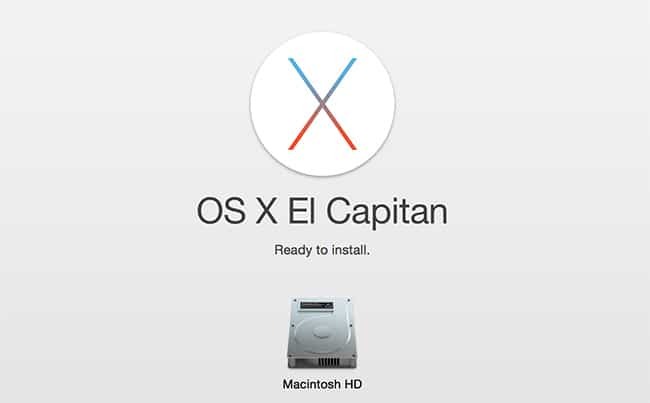 If you’re looking for a fresh installation, you need to create the bootable installer for El Capitan. One way to do so is from the El Capitan DMG (InstallESD.dmg) file. And you can get it from the El Capitan “.app” file, by browsing the Package Contents in “Install OS X El Capitan.app/Contents/SharedSupport/”. Alternatively, you may create a bootable installer for El Capitan directly from the El Capitan “.app” file, using the “createinstallmedia” command, as suggested by Apple.